When considering the state of modern prisons in America, it’s easy to start thinking about alternative punishments for several reasons. In August 2013, The Washington Post reported that the United States prison population topped 2.4 million, and it cost about $21,000 per year to house a federal inmate at a minimum-security prison. At that time, federal prison costs were expected to take up about 30 percent of the Justice Department’s total budget by 2020. Housing criminals is expensive, time-consuming and arguably ineffective in the long run. Not every person who commits a crime needs to spend a decade or more locked away without recourse, and today’s prison systems are overcrowded at best in most areas. Is there a better way to deal with criminal activity? Traditional punishment alternatives include restitution, in which responsible parties pay for damages caused by their actions; community service, in which a debt to society is paid through public works like picking up trash from the side of the road; and mental health counseling or rehabilitation, in which criminal offenders receive help in an attempt to reduce their desire to commit crimes. These and other similar methods work sometimes, but studies consistently show that most criminals continue to commit crimes once they leave prison. 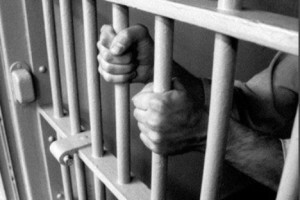 In fact, some prison inmates continue to commit crimes behind bars. Education and preventive measures may be the answer. Some cities host youth prevention programs, which can reduce the likelihood that teens who commit juvenile crimes end up in adult prisons later in life. At the adult level, church ministries and other educational programs may help inmates understand the implications of their crimes so that they avoid them in the future. Offering inmates a way out and opportunities to stay on track could work to lower the crime rate. Additionally, reduced sentencing for minor offenses might mitigate the problem with today’s prison system. Punishments should fit the crime, but enthusiastic prosecutors combined with emotionally-charged situations can lead to excessive sentencing for first-time offenders. Traditional alternatives aren’t the only option when it comes to rethinking the prison system in America. One of the earliest forms of punishment actually serves as a creative alternative to traditional sentencing, rehabilitation and other methods for correcting criminal behavior: public shaming. According to Lawyers.com, the idea behind public shaming is “to teach wrongdoers a lesson through embarrassment or humiliation.” Back in the old days, wrongdoers were locked up in town stocks in the center of the village so that everyone could see and acknowledge the criminal and his crime. Today, the stocks have been replaced with creative problem-solving. For example, a judge in Massachusetts forced a polluting riverboat company to advertise their crime in the paper. Public shaming is usually reserved for businesses because it has the biggest impact; assigning humiliating tasks and hefty fines to large corporations has the twofold effect of correcting the criminal behavior and warning others against similar actions. There’s no clear answer for why some alternatives to prison work and why others fail. However, attempting to reduce the prison population not only benefits taxpayers, but it also helps people behind bars learn from their mistakes and move forward to become better members of society. Alternative punishments offer a win-win solution to the problem of expensive and overcrowded correctional facilities.